More messing about. Sorting out UVs is such fun, now. Here are just a couple of models I threw together to really put Layout through its paces. Came through with flying colours. Here's a lady who is actually going to become a tree. Yeah, I know .. I'm weird. Test texture after initial flattening. 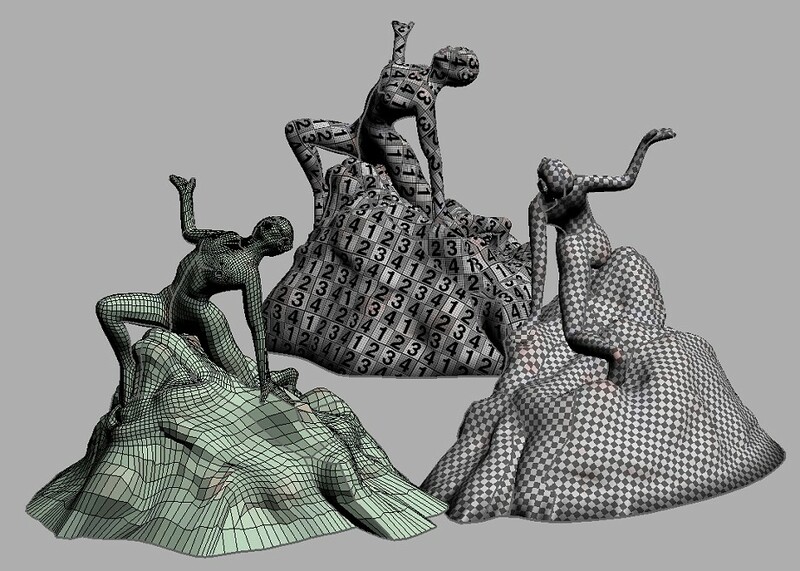 And here are a few basic renders (C4D with AO). No texture yet. 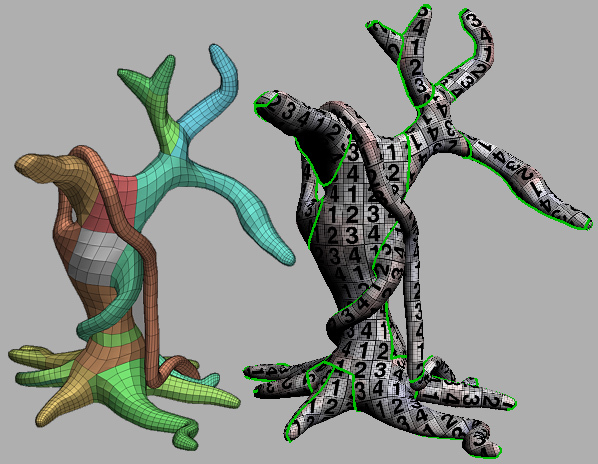 And here's a stoopid tree I made with ZSpheres in ZBrush, mapped, textured and rendered .. all within 90 minutes. UVs sorted in Layout, natch. 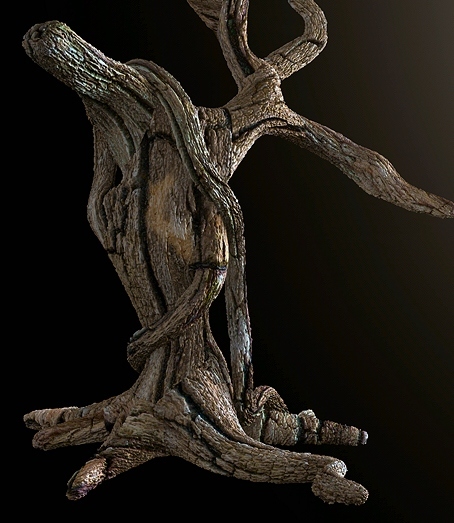 Rendered with a bark texture, and a bit of displacement. Normal, displacement and bump maps depend as much on good UVs as a texture map does. Splendid Moochie!! Way to go.